Empower the group you belong to by giving a voice to its individuals. Capturing the ethos of Aboriginal Yarning Circles. Who is The Yarn for? How to purchase the Let's Have A Yarn With Yarn® package? Let's Have A Yarn About Our Story. 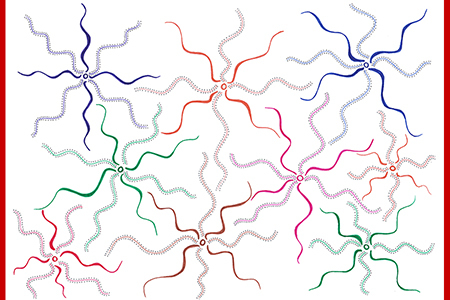 A great way to start, this Yarn develops the dynamics and individual identities of the group. Let's Have A Yarn About Rules In Our Lives. Rules are essential in our society, this Yarn develops an understanding of those rules and why they're there. Let's Have A Yarn About Good And Bad Choices. We've all made them — but do we understand them? This Yarn develops our skills towards better judgement. Let's Have A Yarn About How I Can Be A Better Friend. Friendship is a wonderful thing but is often difficult to hold on to, this Yarn talks about nurturing our relationships. Let's Have A Yarn About Feelings. Our feelings can be overwhelming and sometimes confusing, this Yarn develops our awareness of how we feel at different times. Each topic has ten sessions that the group can choose to discuss; developing various skills throughout the weeks. In total there are fifty Yarning sessions which the group can share within the safe environment of The Yarning Circle. Each Yarn requires a trained facilitator to achieve the maximum benefit from the program. Included in the package is a Facilitator's Handbook to assist the facilitator and guide the Yarning process. 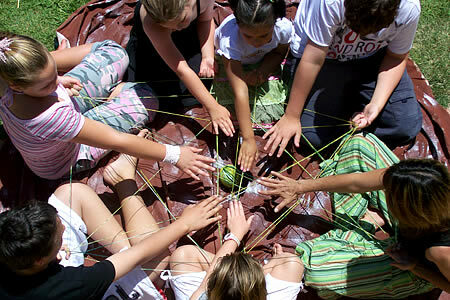 Using oral communication and working together, the group performs various team building activities that continue to develop throughout the Yarning process. These activities allow the group to utilise what they have learnt while exploring Yarning topics and empower the expression of individual views and identity. The Yarn is for Anyone, Anytime, Anywhere.. The Let's Have A Yarn With Yarn® program captures the ethos of Aboriginal Yarning Circles and is transferable to any situation. The skills learned and used within the Yarns are cross-cultural and universal. There are no barriers that age has brought to the Yarning process. There are no barriers for those with physical, visual, speech, learning or hearing difficulties; all such members have successfully participated in the Yarn. With the assistance of the group and the facilitator, inclusion becomes a natural part of the Yarning process, however, The Yarn and After Yarn Activities may need to be modified to suit the members' abilities within each group. The Let's Have A Yarn With Yarn® program is applicable to everyone regardless of age, culture or gender. Highly valued within the educational system, our communities and the family home; this traditional learning method leads to inclusion, participation, value of the individual and access to contemporary outcomes in today's modern world. Empower the group you belong to by giving a voice to its individuals, in a safe, relaxed and comfortable nurturing environment. To purchase or enquire about The Let's Have A Yarn With Yarn® program please contact the Yarning Circle by email, phone or fax. The program's use is under a licensing agreement which can be discussed further upon contact. Let's Have A Yarn With Yarn® is a registered trademark of The Yarning Circle®.